You have read this article shop with the title June 2009. You can bookmark this page URL http://jenkrebs.blogspot.com/2009/06/big-fabric-sale.html. Thanks! I just learned of this fabric swap taking place Tuesday night, 6/30/09, at the Rogers Park Public Library. Bring unwanted fabric, trade it in for fake money, and "shop" for something new to bring home. I'm hoping to trade in two yards of dalmatian-print fur I just received by mistake from a fabric company. If you want dalmatian fur, you'd better be there. Details here! You have read this article events with the title June 2009. 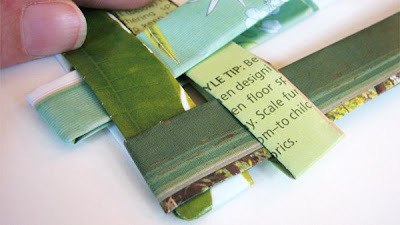 You can bookmark this page URL http://jenkrebs.blogspot.com/2009/06/chicago-fabric-swap-tomorrow.html. Thanks! 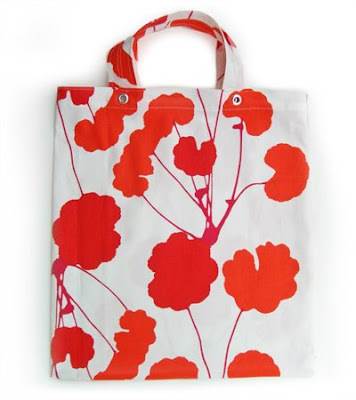 We've arranged a little giveaway: leave a comment on this post before midnight CDT on Thursday (7/2/09), and a random winner will receive this hip red-orange shopping tote. Include a link or way of contacting you. The winner will be announced on Friday in this post. UPDATE: The giveaway is now closed. The lucky winner was comment number 269, Elizabeth K. Congrats! You have read this article giveaway with the title June 2009. 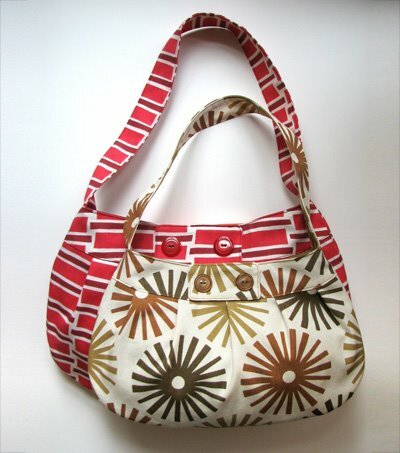 You can bookmark this page URL http://jenkrebs.blogspot.com/2009/06/win-stash-shopping-tote.html. Thanks! 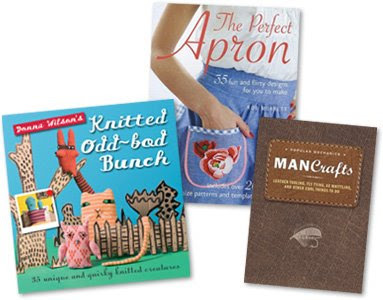 I've been flipping through review copies of some nifty craft books. Take a look. 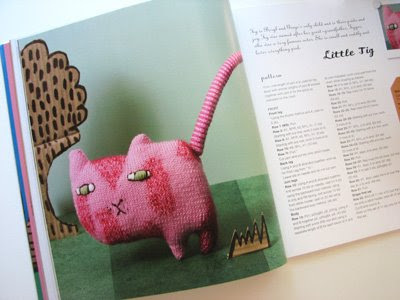 You can learn to knit crazy animals and, um... people? 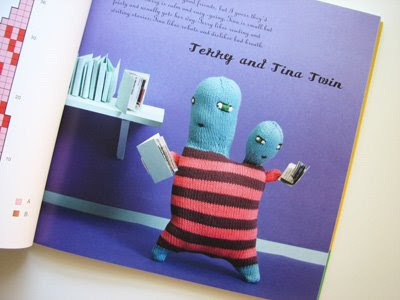 in The Knitted Odd-bod Bunch by Donna Wilson. They're so wacky that I think I love them. 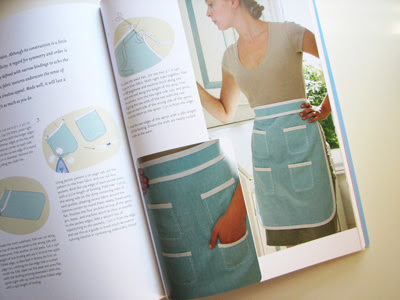 The Perfect Apron by Rob Merrett features 35 apron projects that vary from simple to frou-frou. 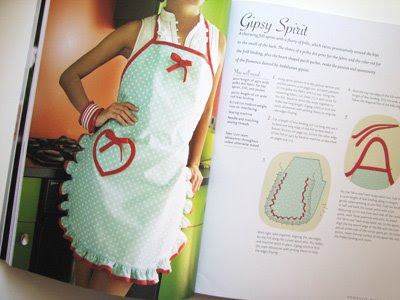 With so many to choose from, one of them probably is your perfect apron. 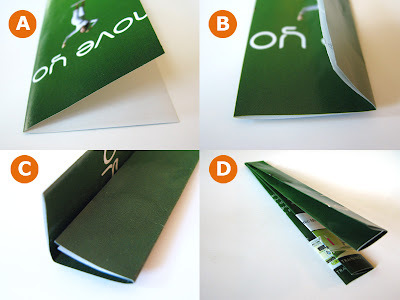 The book has tear-out patterns and templates, too. Nice. 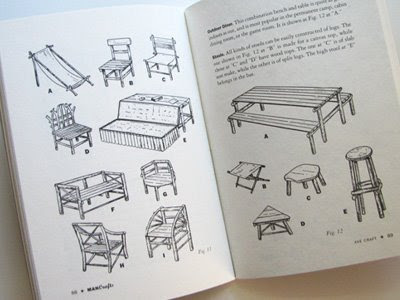 And so that men-folk don't feel neglected, I present to you ManCrafts, reprinted from WWII-era Popular Mechanics articles. Learn about leather tooling, block printing, braiding and knotting, and most essential: fly tying. Full of great wisdom, such as, "The true woodsman has great respect but no fear for his axe," and "Fly tying is one of the most interesting and useful of all the handicrafts." Really? Mentally noted. You have read this article books with the title June 2009. You can bookmark this page URL http://jenkrebs.blogspot.com/2009/06/fun-books.html. Thanks! 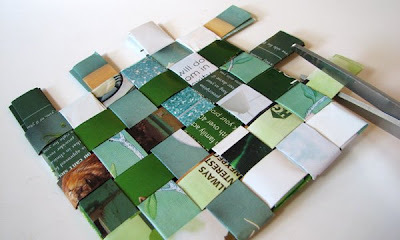 You have read this article paper / recycled / tutorials with the title June 2009. 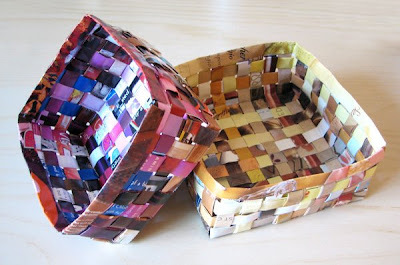 You can bookmark this page URL http://jenkrebs.blogspot.com/2009/06/recycled-magazine-baskets.html. Thanks! You have read this article downloads / fonts / graphic design with the title June 2009. You can bookmark this page URL http://jenkrebs.blogspot.com/2009/06/for-type-fans.html. Thanks! 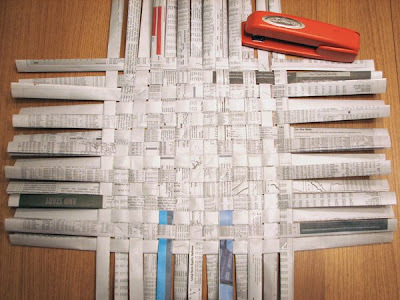 You have read this article paper / recycled / tutorials with the title June 2009. 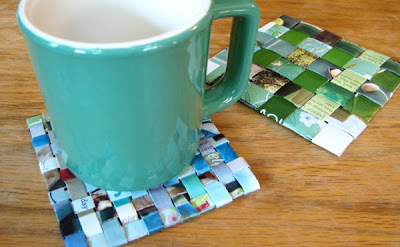 You can bookmark this page URL http://jenkrebs.blogspot.com/2009/06/recycled-magazine-coasters.html. Thanks! I discovered Pingg, an online invitation, e-card and event management company, months ago. I see they're growing rapidly and have added several new artists to their Designer Series, above. So in case Evite's clunky invitations aren't stylish enough for you, try out Pingg's free service. You can post your announcements directly to Facebook and Twitter, too. 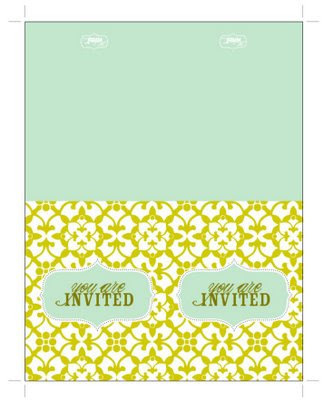 Or if you like the look of formal cardstock invitations and the virtual experience of opening an envelope, check out Paperless Post, currently in Beta. You can create an account, design your invitation, and then purchase "stamps" to send them out. Stamps start at $5.00 for 60 invitations, a fraction of the cost of real postage. Invite your friends and get free stamps! In fact, I'm inviting you all. 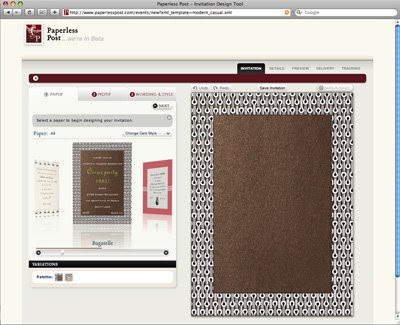 If you're interested, try out Paperless Post. You have read this article invitations / resources with the title June 2009. You can bookmark this page URL http://jenkrebs.blogspot.com/2009/06/online-invitation-services.html. Thanks! Are you a graphic designer? Or maybe you play one on TV. 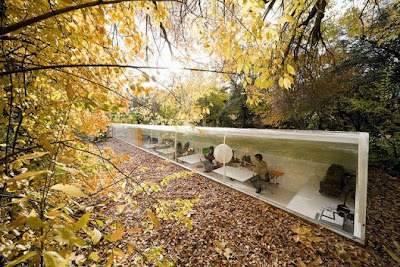 You might enjoy browsing through these design galleries. For logo design, check out Logo Faves, Wolda, Logo Lounge, or Logo Pond. See fancy business cards on Flickr or cool packaging at The Dieline. And at FPO: For Print Only, you can view the specs and production costs for a new print project every day. You have read this article graphic design / resources with the title June 2009. You can bookmark this page URL http://jenkrebs.blogspot.com/2009/06/graphic-design-inspiration.html. Thanks! You have read this article games / graphic design / time-wasters with the title June 2009. 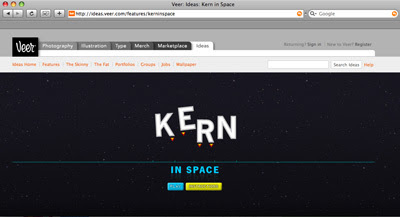 You can bookmark this page URL http://jenkrebs.blogspot.com/2009/06/kern-in-space.html. Thanks! You have read this article fabric / paper / sewing / tutorials with the title June 2009. 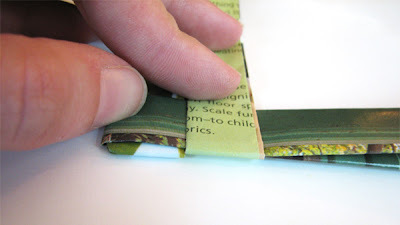 You can bookmark this page URL http://jenkrebs.blogspot.com/2009/06/stuff-you-can-make.html. Thanks! 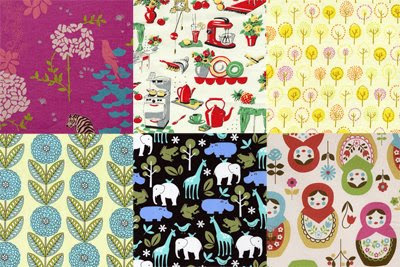 The girls at Kindred have released another batch of free wallpapers with a summertime theme. Enjoy! You have read this article art / desktops / downloads with the title June 2009. 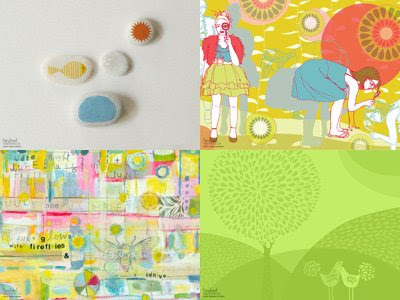 You can bookmark this page URL http://jenkrebs.blogspot.com/2009/06/artist-designed-desktop-wallpapers.html. Thanks! We've started making Buttercup bags in a new, larger size for those who need more room for carrying your earthly belongings. A couple are listed in the shop, with more to come. You have read this article shop with the title June 2009. You can bookmark this page URL http://jenkrebs.blogspot.com/2009/06/shop-update.html. Thanks! 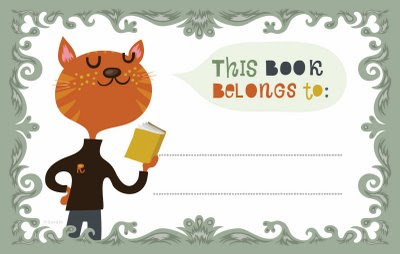 Helen Dardik, illustrator extraordinaire, is offering three different printable bookplates, free. Thanks, Helen! You have read this article downloads / printable with the title June 2009. You can bookmark this page URL http://jenkrebs.blogspot.com/2009/06/printable-bookplates.html. Thanks! G'morning, everybody. 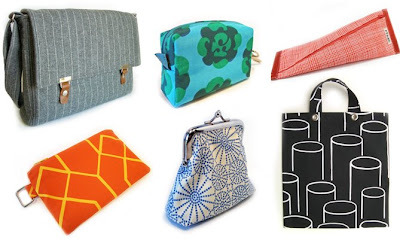 If you feel like a little shopping, Fabric.com is offering a $5 gift certificate to How About Orange readers. It's a one time use coupon valid from June 12th to June 19th. 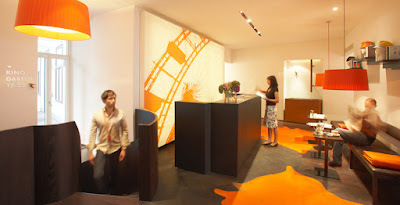 Enter the code blogorange when you check out to cash in your five bucks. And I hear they just received my fabric line and it should be available in the store in a couple days. 6/19 Update for those who inquired: My fabric still isn't listed in the store, and I didn't receive a reply when I wrote them to check on it a couple days ago. Today is the last day of the coupon, so feel free to choose something else. 7/15 Update: I've found my fabric on their site right here. Good prices, too. You have read this article shop with the title June 2009. 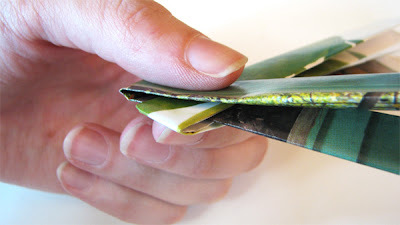 You can bookmark this page URL http://jenkrebs.blogspot.com/2009/06/5-coupon-from-fabriccom.html. Thanks! I'm still on the newspaper kick. 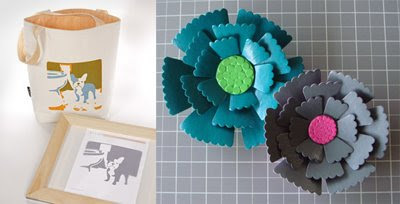 I picked out the parts with colored ads and made these flowers with instructions from the book Paper Flowers by Michael LaFosse. Found it at the library. 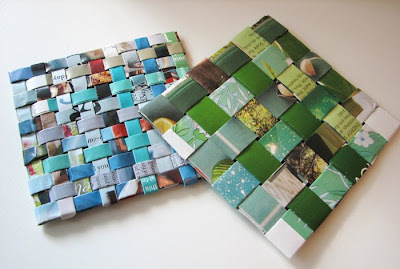 These are made with two pages of newspaper glued together to make a thicker sheet. There they are, adorning the newspaper basket. You have read this article paper / recycled with the title June 2009. 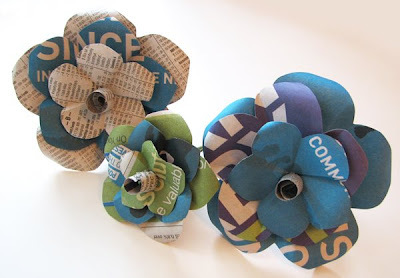 You can bookmark this page URL http://jenkrebs.blogspot.com/2009/06/newspaper-flowers.html. Thanks! 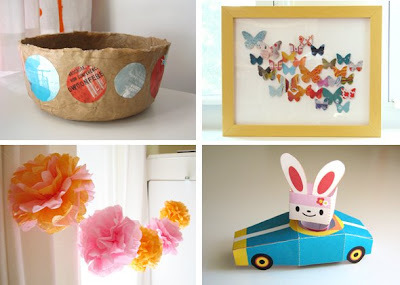 You have read this article paper / recycled / tutorials with the title June 2009. You can bookmark this page URL http://jenkrebs.blogspot.com/2009/06/newspaper-basket.html. Thanks! You have read this article random with the title June 2009. You can bookmark this page URL http://jenkrebs.blogspot.com/2009/06/my-new-life.html. Thanks! 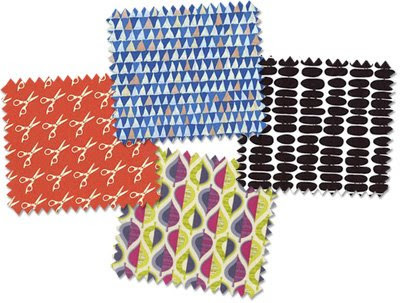 I have a bit of a bowl fixation lately (at least making paper ones like this and this), so when I came across this reversible fabric model at Imagine Fabric, I was delighted. ('Course it doesn't hurt that it's orange, either.) Make your own with their instructions. You have read this article fabric / tutorials with the title June 2009. 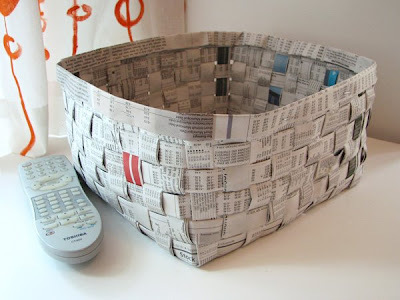 You can bookmark this page URL http://jenkrebs.blogspot.com/2009/06/fabric-bowls.html. Thanks! Has anyone tried out Aviary, the online image editor yet? I haven't tested it, but it looks like a pared-down version of Adobe Photoshop (they call theirs Phoenix) and Adobe Illustrator (they call it Raven). Yep, you can edit vector images too. And it's free. Go take it for a spin. You have read this article graphic design / resources with the title June 2009. You can bookmark this page URL http://jenkrebs.blogspot.com/2009/06/aviary-online-image-editor.html. Thanks! Download this cute little printable PDF from Heirloom Paperie. Every Tuesday they post a free template; thanks, guys. 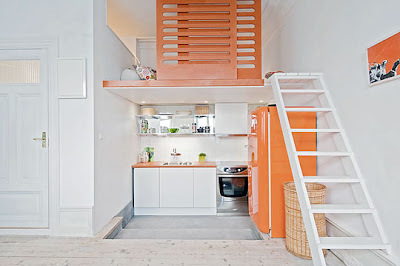 Via iDiY, which is chock full of good stuff. You have read this article downloads / invitations / printable with the title June 2009. You can bookmark this page URL http://jenkrebs.blogspot.com/2009/06/invitation-freebie.html. Thanks! Craft Social, the big event I helped organize the night before we left, went great as far as I can tell. I'm dying to do it again. About 100 people showed up, and I'm not kidding when I say that every person I talked to was so completely friendly and wonderful that I concluded crafters are the nicest people on the planet. And I started hearing rumors from different corners of the room that we need to do a craft lock-in. You know, like in high school, except we make stuff all night long. Just put some cots in the corner in case we get tired. Um, we'll save that brilliant idea for later, but in the meantime, we're already talking about when the next Craft Social might be. Chicago Craft Social, for pix of your projects from the event. Chicago Craft Community, for pix of other projects you've worked on. Our hope is to better connect Chicago area creatives and build community. And for those of you who contacted us about holding a Craft Social in your town, we're working on a little package of graphics and guidelines to make things easy for you. Stay tuned! You have read this article events with the title June 2009. You can bookmark this page URL http://jenkrebs.blogspot.com/2009/06/craft-social-was-hit.html. Thanks!